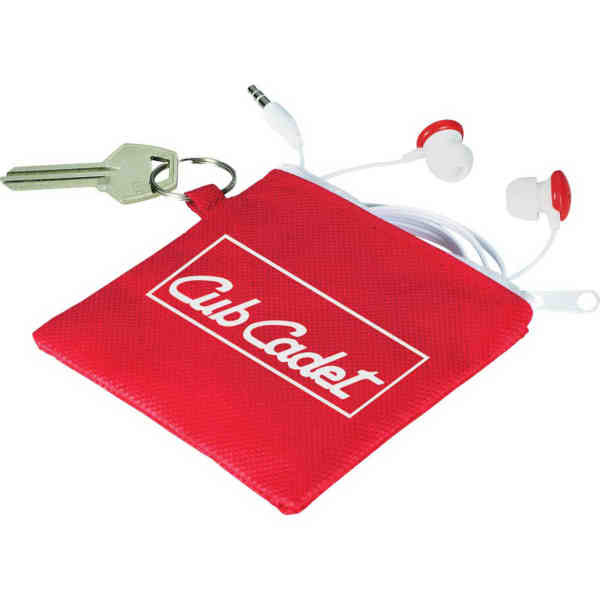 Imprint Method: ColorPrint - The Star Earbuds with Pouch can be used with any standard audio device. This set includes a 3.5mm audio jack and a 46 inch earbud cable with a case that doubles as a earbuds holder. Size: 3.75 " x 3.75 "